BigStuff3 just got Simpler and more Powerful than ever! When it comes to modern horsepower, the most important tools are no longer found in your toolbox. Just think, in the 1980's Top Fuel dragsters made about 2500 hp using a 500 cubic inch Aluminum Hemi headed engine on Nitromethane, some of todays Pro Mod cars crush these numbers! Why? It is a matter of optimizing all aspects of the engine to improving efficiency. This demands the tools to gather data to understand what is happening inside the engine at the completely and identify opportunities to improve efficiency. EFI has brought new capabilities to enable maximum efficiency, but also additional complexity getting started. 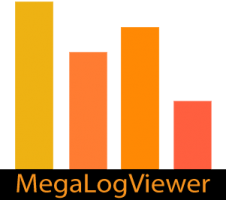 Together BigComm Pro and MegaLogViewer bring you the power to capture, view and analyze vehicle data as your engine produces it, then act upon it. These easy to use applications simplify making changes and even offer recommendations and automatic correction using data analytics at a level that is not offered by any other automotive tuning solutions. 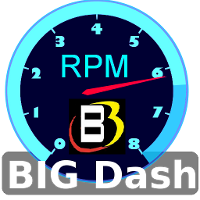 3) Enter the registration in BigComm and all the BigComm Pro features will be activated! Works with all BigStuff3 Firmwares 076 and up, no updates to your box are needed! Add Create or Customize Tune and Dyno Views just for your specific calibration needs. Triggered Logging based on any criteria you need. Much more, you will be amazed! 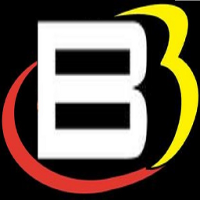 BigComm Like you have never seen it!